The Germany cuisine has evolved as a national cuisine through centuries of social and political change with variations from region to region. 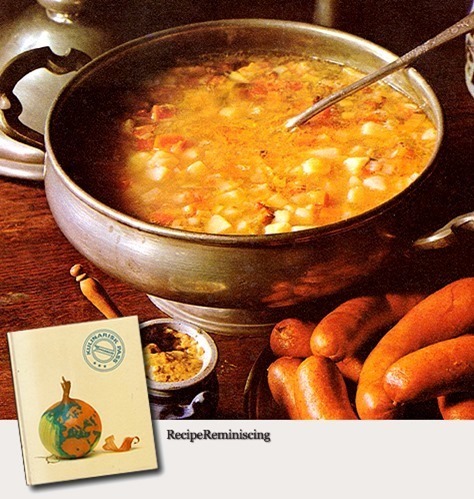 Some regions of Germany, like Bavaria and neighbouring Swabia, share dishes with Austrian and parts of Swiss cuisine. Carolyn Smith-Kizer who runs ‘18thC Cuisine‘ writes: It seems the way to a man’s heart has always been through his stomach. If the lady who supplies the bread and honeyed wine is also good in other wifely arts, so much the better. 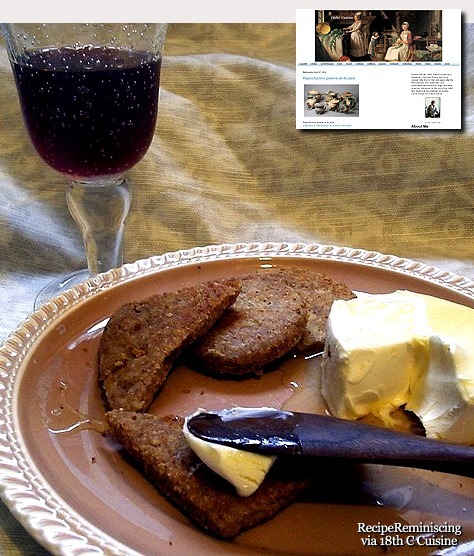 Here is a plate of barley bread & goat cheese with honey, served with that infamous Pramnian wine in honor of Novel Food, an event celebrating food immortalized in prose or poetry, and a dish that Circe served Odysseus, hoping to tempt him to stay.